CytoViva® is a leading provider of advanced optical microscopy and hyperspectral imaging technologies. These technologies have been specifically designed for nanomaterials, nanomedicine and life science related research. CytoViva’s Hyperspectral Microscopy technology incorporates patented high signal-to-noise optical microscopy with high spectral resolution hyperspectral imaging. This enables optical observation and quantitative spectral analysis of nanoscale samples in a wide range of biological and materials-based environments. 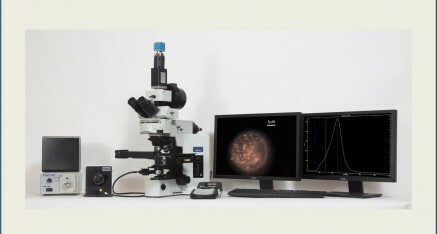 In addition, hyperspectral microscopy can be used to confirm unique surface chemistry and functional groups added to nanomaterials. Finally, certain biologicals, such as bacteria and pathogens, can be optically observed, spectrally characterized and mapped in tissue and other environments. In all examples, no special fluorescent markers are required. CytoViva’s hyperspectral imaging capability can also support other standard microscope imaging techniques such as reflected light, fluorescence and transmitted light bright field, as well as, a macro level image analysis platform.